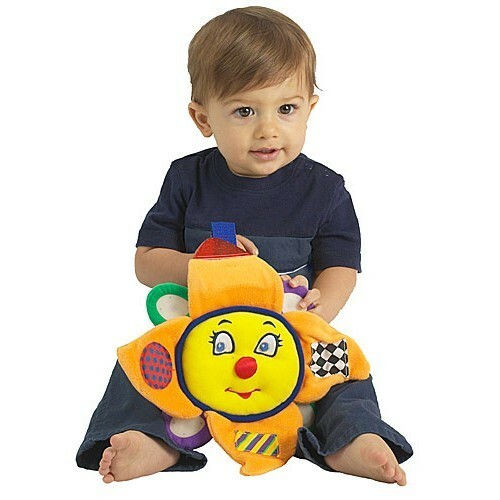 Sunshine Symphony Baby Musical Toy by Neurosmith is a crib toy, music player, baby travel toy, and developmental activity toy at the same time. 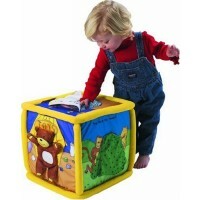 Award Winner: Oppenheim Toy Portfolio Platinum Award. Parent Magazine's Most Wanted Toy. 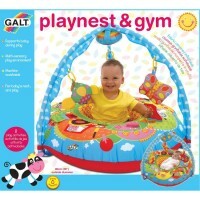 Parenting Magazine's Best Toy of the Year Award. 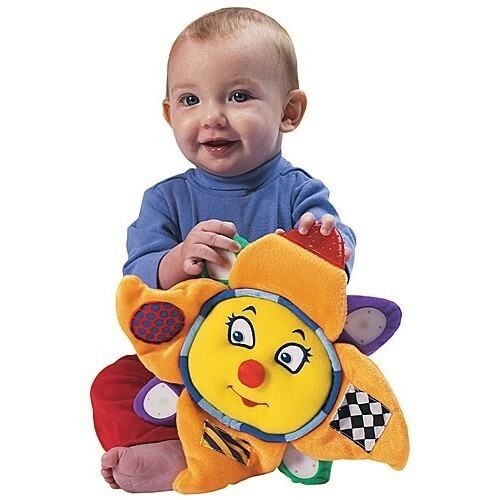 Your little sunshine will love our huggable Sunshine Symphony Baby Musical Toy! 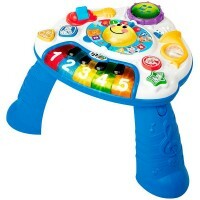 You just simply cannot stop smiling looking at this adorable musical toy! 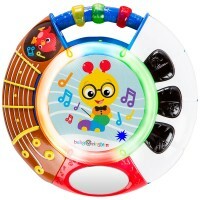 Sunshine Symphony Baby Musical Toy by Neurosmith is a crib toy, music player, baby travel toy, and developmental activity toy at the same time. 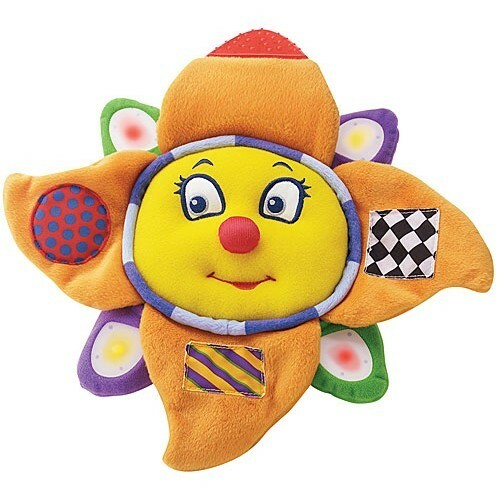 Activated just by touch this colorful plush smiling sun plays classic music, puts up a colorful blinking light display, and provides multiple tactile activities for your baby. 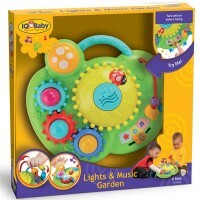 This high quality sound musical baby toy will calm your baby when she's younger, and entertain when she gets older. Sunshine Symphony baby toy plays four beautiful classic music pieces: Mozart's Piano Sonata in C Major, Tchaikovsky's The Nutcracker, Handel's Water Music, and Prokofiev's Peter and the Wolf. This musical baby product makes listening experience even more educationally beneficial presenting one musical instrument per song: piano, flute, trumpet, or violin. 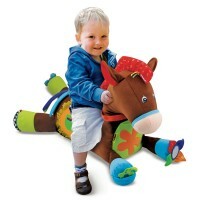 Different touch-and-feel activities includes crinkle, squeak, beads and teether. 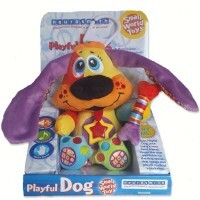 The baby toy is made of quality soft velour with washable surface. This sound toy is attachable to your baby crib, stroller, or car seat. 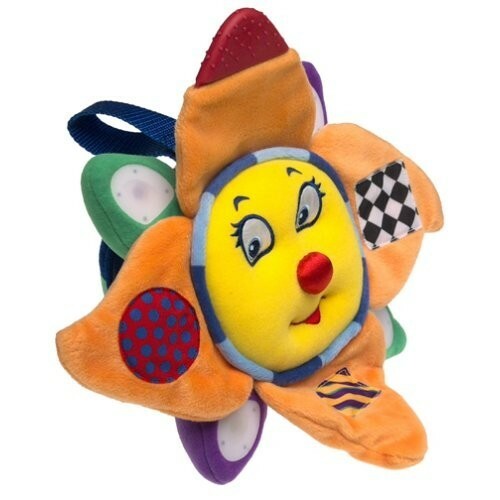 Sunshine Symphony Baby Musical Toy from Educational Toys Planet comes with on/off switch, high/low volume control, and mode controls zipped safely inside. Requires 3 AA batteries (not included). Diameter 11.5 inches. 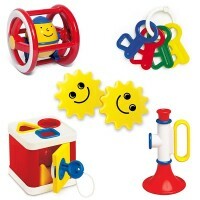 Dimensions of package 5" x 12" x 12"
Write your own review of Sunshine Symphony Baby Musical Toy. 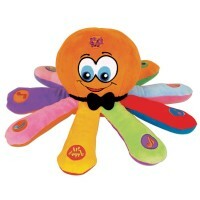 Rating: 5 Baby Loves It by Ami From the moment I introduced this toy to my 6-month-old granddaughter, she loved it. The music is great time after time, and she bounces along to the rhythms. Excellent toy. Volume control inside, if you were wondering. Rating: 5 by Erin, TN The 2 different modes are great. Rating: 5 by Linda, VA The different textures and classical music. Rating: 5 by Carol, VA like the feel and texture. Rating: 5 by Colleen, WA This toy is for my autistic grandson. He won't get it until Christmas so I don't know his reaction yet to it. But he loves music and I'm happy to have found a musical toy that uses classical music rather than the tinny-sounding run of the mill 'baby' stuff that most toys do. Grandma give it a big thumbs up!